Local SEO relies on strategic planning. A growing boom in SEO in the web industry has made it prominent for every small business to rise with a strong presence. But however, only a few have come close to this concept and rest are still struggling for higher visibility. Numerous entrepreneurs have taken the system for a ride, without acknowledging the basics, and unfortunately, put their businesses in a disrupted state. The reason for such situation may be the implementation of wrong SEO strategies. If you don’t want to lose the game then must consult with the Best SEO Company in Delhi that provides you assistance with result-oriented strategies. Here we are with some latest search engine optimization strategies that help you to attract more people to your website. Want to gain quality traffic on your site? If you wish to drive a highly good traffic then it is prominent to optimize your website. If your site is not optimized then hardly search engines will notice it and may you lose your potential customers. Your domain name should reflect your business and its domain. Try to integrate significant keywords into URLs and page titles. Your site content must contain keywords relevantly- those which users usually use to find that particular information. Possibly also use relevant keywords in video titles and image captions. You can mention the necessary contact details on each web page of your site. If you want to intensify the Local Search Engine Optimization Services then registering your business from various third-party sources can do wonders for your business. Search engines like Google, Yahoo, and Bing also based on these sources for the comprehension of the local business scenario. 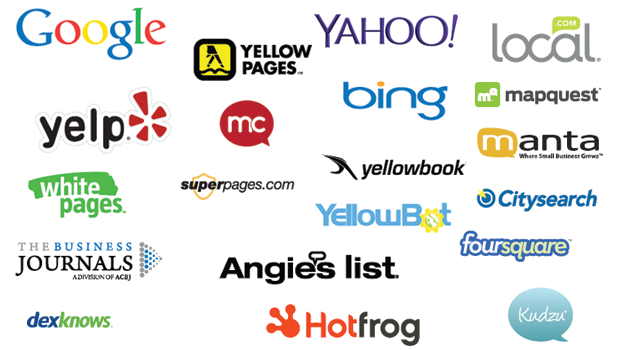 List your business with various local listings service providers such as Google, Facebook, and Yelp. Give special heed to your registered business category. Mention the relevant keywords whenever required. Always remember to assist your listings with site videos, images, and URLs. In case if you are operating your business from multiple locations then for each location create a separate listing in order to make a strong visibility for your business. Wish to get better visibility on Google? Link building is the most effective way to rank yourself higher on the various search engines. This link building process will be a great advantage as links of your website on other websites, and vice-versa will help you in making your presence more strong. Promote your site on various social networks by putting links to your websites. While sending information to the customers provide links to your site in email newsletters. Organize events, give discounts to the local audience and encourage the nearby businesses to promote your organization. Make sure to build links with websites having a good traffic rate and is relevant to the theme of your business category. For example, if your site sells cosmetics, and you are promoting it on a medical site then you are wasting your time and efforts as well. If you want to promote your small business at a high level then it is suggested to take help from the Best Digital Marketing Services in Delhi. How UX Massively Impacts Website Revenue?